Microsoft has announced the new Wireless Desktop 800, a £30 mouse and keyboard package. 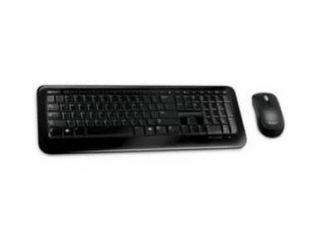 The Wireless Desktop 800 package uses 2.4GHz wireless technology and offers a range of 'up to 15 feet'. The setup also boasts Microsoft Optical Technology in the mouse, offering 1,000dpi and a snap in transceiver that 'stows conveniently in the mouse'. The keyboard has easy-access hot-key shortcuts to calculator and the usual media controls (volume, mute, play/pause). The battery life is given by Microsoft as 'up to 15 months for the keyboard and eight months for the mouse'. The Wireless Desktop 800 is now available in the UK with a price of £29.99.